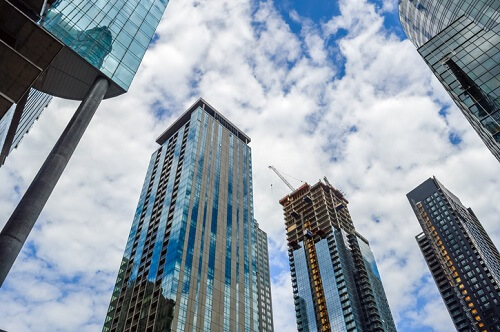 A total of 46,753 sales transpired in Montreal throughout 2018, reaching a historic high and ensuring that the landmark performance will have momentum to last for much this year, the Quebec Federation of Real Estate Boards announced earlier this week. The 2018 sales numbers, which cover the Montreal Census Metropolitan Area, represented 5% growth over 2017, as well as the 4th straight annual increase in the market’s transactions. Luxury homes posted the most remarkable numbers, with sales of single-family properties worth more than $1,000,000 growing by 18%, and deals involving condos worth more than $500,000 by 30%. Condos as a whole also went up by 14% last year, while plexes (2 to 5 units) saw 3% more transactions. Single-family homes had a relatively muted 1% growth, but this was not enough to offset the region’s new record in terms of sales of volume. Montreal’s inventory also contracted for the 3rd straight year, with the number of active listings falling by 17% annually in 2018, down to 22,890 properties. In terms of median prices, single-family homes went up by 4% last year (up to $323,000), while that of condos grew by 3% (reaching $255,000). Plexes showed 8% growth in this metric (to $514,000) in 2018.